Next trip: April 28–May 1, 2019. Cost: From 8,060 RMB*, all-inclusive. * Price deadlines: Make payment before the stated dates to qualify for the prices listed. Prices based on Beijing departure. Joining from elsewhere? Let us know, and we'll work something out. Detailed information about the trip activities and arrangements can be found below. Please contact us at any time for further details. This breathtaking region attracts visitors with its unique desert landscape, vibrant cultural diversity, and rich history. Alashan is located in the westernmost part of Inner Mongolia Autonomous Region, bordered in the north by Mongolia, in the south and west by Gansu province. This area encompasses several different deserts, including the Badanjilin, the Ulan Buh, and the Tengger. Hundreds of saltwater and freshwater lakes can be found in these deserts, including a few which we will be visiting. Historical evidence of human presence in Alashan dates back as far as 6,000 years ago, when the Mandela Mountain Rock Paintings were carved. 28 ethnic groups including Han, Mongolian and Hui people inhabit this 270,000-square-kilometer (104,247 square miles) land. Reputed as the 'hometown of the camel', Alashan is abundant in two-humped camels and the down producing goat. The former were very important as pack animals along the Silk Road. 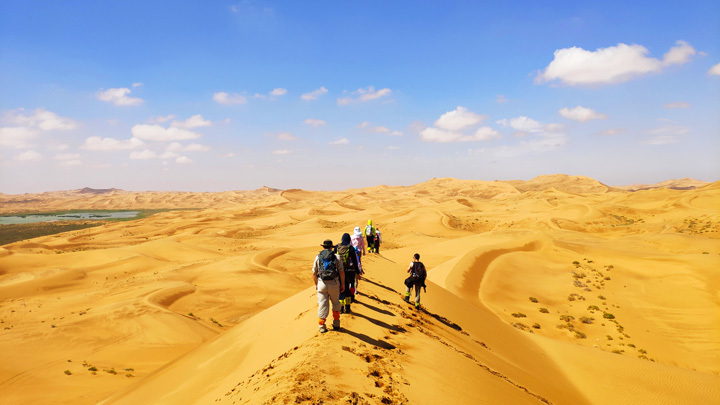 The name of the Tengger Desert comes from the Mongolian word for “sky.” The Tengger is classic sand desert: endless waves of sand dunes broken only by the occasional rocky crag. Located in the south-eastern part of Alashan, with an area of about 30,000 square kilometers, this desert is the fourth largest of its kind in China. 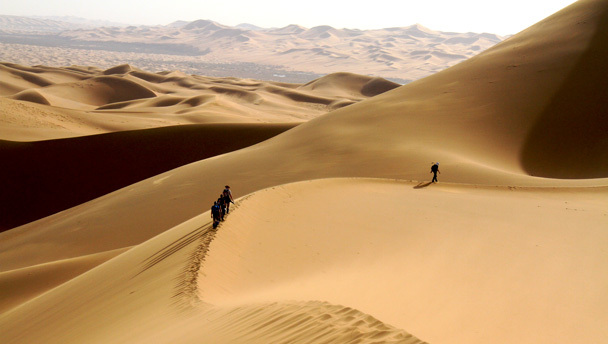 Many of the dunes found in the Tengger Desert are crescent-shaped, formed by winds that mostly blow in the same direction. Because of this, the Tengger is China's fastest moving desert, frequently threatening to bury railway lines as its dunes shift across the land. We’ll get deep into the desert, where it’s sand dunes in every direction, as far as the eye can see—quite a sensation! Somewhat surprisingly, more than 500 fresh- and salt-water lakes and oases can be found in the Alashan Desert. On this trip we will visit or pass by Nuoritu Lake, Yellow Grass Lake, Moon Lake, and Temotu Lake, where we will set up camp. The story of the Western Xia (1036–1227 AD) Dynasty is interesting—a fierce beginning, consolidation of an empire, then a gradual decay due to scheming and corruption, and then an extended finale featuring 20 years of attacks by the Mongolian army, during which it’s said Genghis Khan received a mortal wound. The site of the tombs features an excellent exhibit that uses life-size models and murals to tell the entire story. In the end, they were completely extinguished by the Mongolian army of Genghis Khan and his sons, leaving only the pyramid-shaped tombs of the early kings. The near-total destruction of their capital and records means that little is known about the Tangut nomads who founded the Western Xia Dynasty. Much of what is known is based on records of the neighbouring Liao (907-1125 AD) and Song (960–1279 AD) Dynasties, as well as the results of excavation of the tombs. 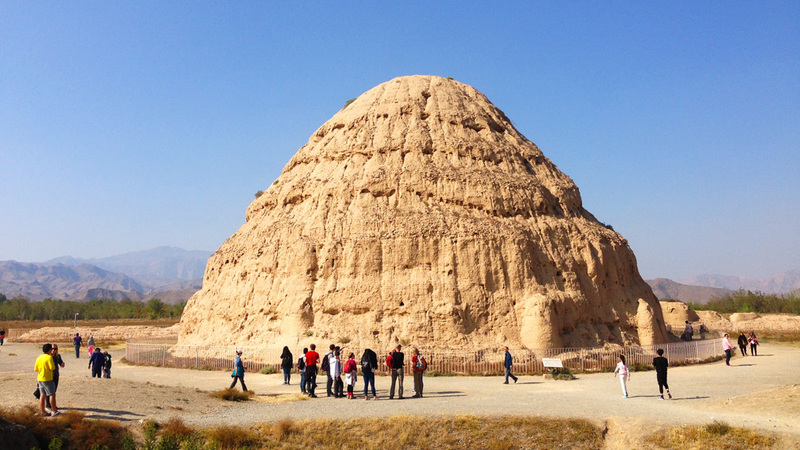 The capital of the Western Xia was sited very close to Yinchuan, and the tombs are around 40km west of the city, on the way to the desert. To date, nine king’s mausoleums and 250 smaller associated tombs have been discovered, and one of the main tombs has been opened to visits. The temperature in deserts will usually vary greatly between the night time and daytime. In May, we expect daytime temperatures of around 28–30° C, and temperatures of around 8–12° C at night. 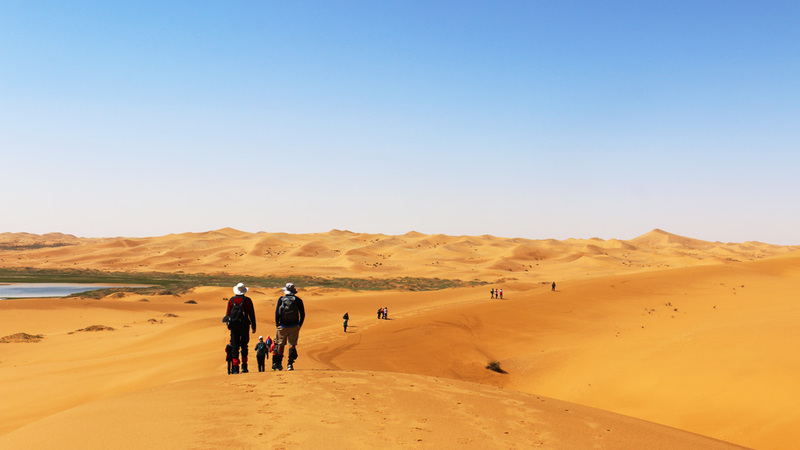 Even though it is a sandy desert, please be prepared to dress warmly. It is not expected to rain, although rain is not impossible. At this time of year the chance of sandstorms is low, but we still need to be prepared. We will spend two nights in the local 5-star hotel, and one night camping in the desert under the stars! Tents, sleeping bags, sleeping bag liners, and ground mats will be supplied by Beijing Hikers, and we'll provide one tent per person. You’ll be sharing a room at the hotel with another hiker. If you'd like a hotel room to yourself, it can be arranged at an extra cost of 500 RMB for the two nights in the hotel, if a room is available—usually not a problem! We’ll be traveling by plane from Beijing to Yinchuan and back again at the end of the trip. We’ll hire a private bus to transit between destinations. There will also be a section of the trip that will include jeep travel through the desert, perhaps a rough ride if you are prone to motion sickness. If you would like to organise your own flights, we can provide further details. Simple breakfast and picnic lunches will be provided on two days in the desert, as will dinner at camp on day two. At other times, we will take our meals at the hotel in Bayanhaote, or in Yinchuan. Bring some spending money for snacks during the trip. We’ll be eating Chinese-style food. Please let us know if you have any special dietary requirements or food allergies. Day pack for carrying water and snacks while hiking. Other luggage can be left on the jeeps or at the hotel. Prices based on Beijing departure. Joining from elsewhere? Let us know, and we'll work it out for you. There are risks involved in hiking and travel. Please read our Risk Acknowledgment and Waiver and inform yourself before participating. See 20+ photos from a trip to the desert, including side trips to the Western Xia Imperial Tombs and the Helanshan Petroglyphs. 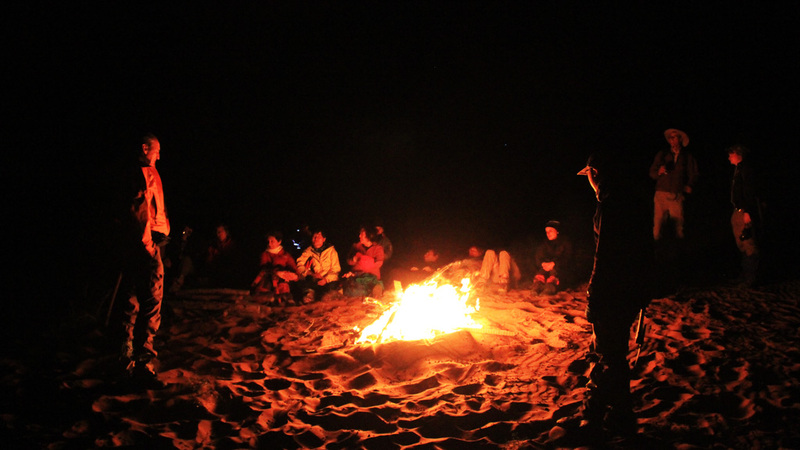 See 31 photos from a trip to the Tengger Desert that included 2 nights of camping, plus hiking, camel riding, and swimming! Photos from our Labour Day Holiday expedition into the Tengger Desert. 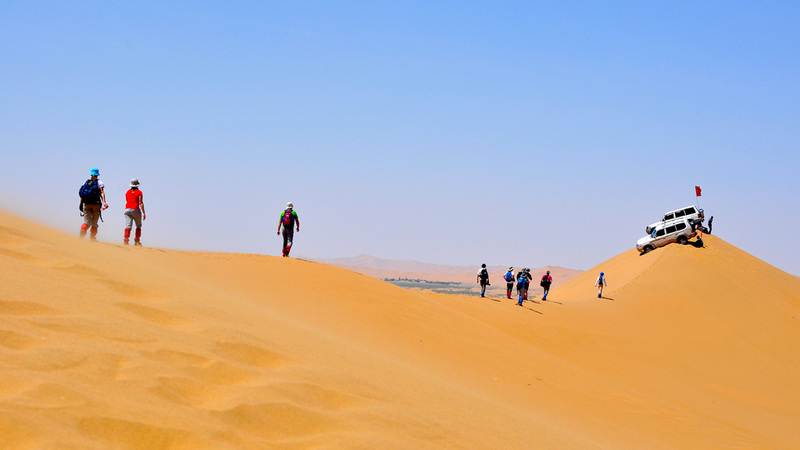 Photos from our two days in the Tengger Desert, part of a four day trip in Inner Mongolia. 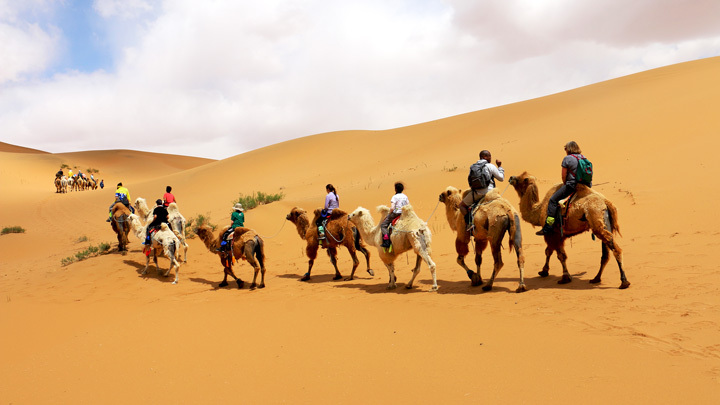 The Tengger Desert Lakes trip is one of our most popular long distance trips, with a two-day venture deep into the desert that has us travelling by foot, jeep, and camel! Click through to see photos from our June visit! In May we headed out to Inner Mongolia for a trip in the Tengger Desert, a sand desert with endless waves of sand dunes and a surprisingly large amount of lakes. Click through to see photos of the desert, dunes, lakes, and camels. In August we visited the Tengger Desert on a 4-day trip that included 2 days of desert hiking, driving, and camel-riding. The desert trips are some of our most popular long-distance trips - take a look at the photos to see why! 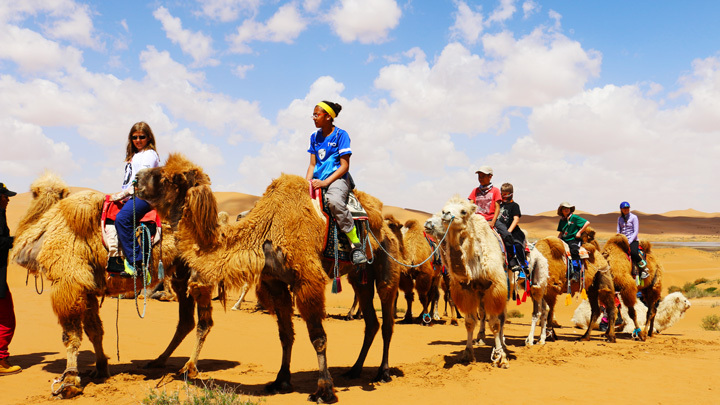 On our second trip to the Tengger Desert this year we followed a slightly different route, hiking, driving, and riding camels through the dunes. Click through to see some photos from the trip. Near the end of April we made a visit to the Tengger Desert in Inner Mongolia, a 30,000 square kilometer expanse of sand. We traveled for two days through the dunes by foot, jeep, and camel, visiting desert lakes, oases, and the tiny settlements of desert dwellers. Click through to see a few photos from the trip. 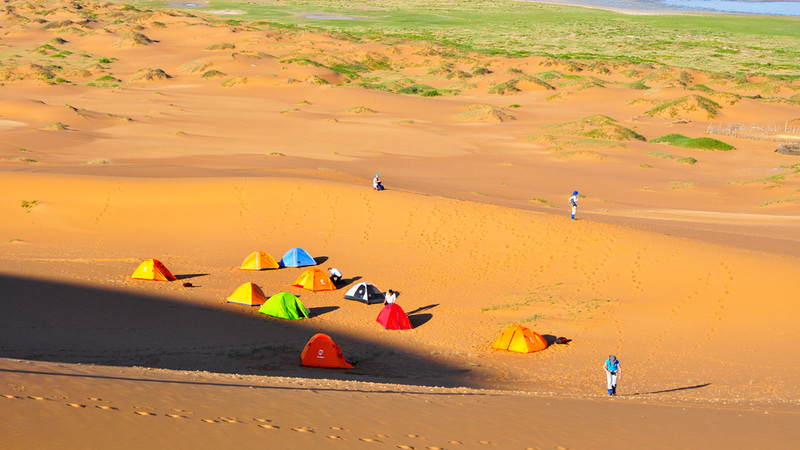 In July 2010 we headed to a different area of Inner Mongolia’s Alashan Plateau for a 4-day trip that included two nights camping in the desert. Click through to see photos!